Welcome to Day #17 of Chocolate and Peru Theme Week. 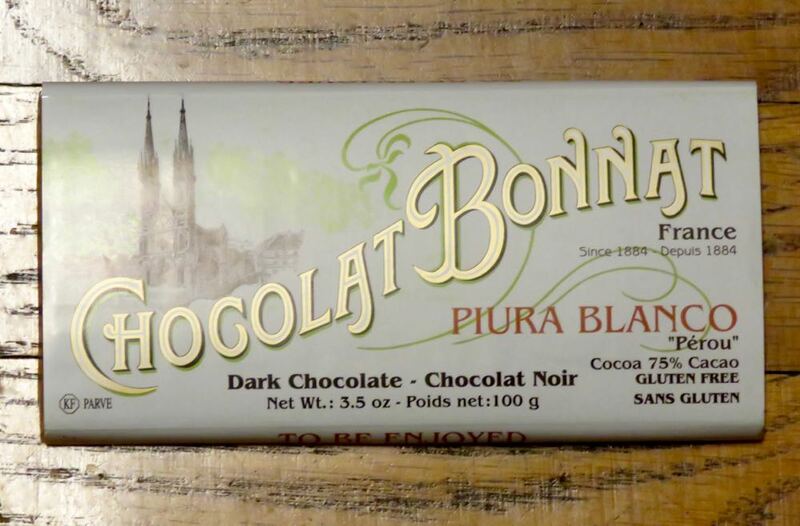 Today's Chocolat Bonnat Piura Blanco Perou 75% Cacao Chocolat Noir (Dark Chocolate) bar was made with Criollo cacao ("white beans") from the Piura cacao-growing region in northwest Peru. *Chocolate maker's tasting notes read: "lightly acidulated and fruity flavors"